Ronnie Polanecsky had a blood-boiling story in the Feb. 4 Philadelphia Daily News concerning Roger Vanderklok who was arrested at the behest of the Philadelphia International Airport TSA when he asked to file a complaint against them. Vanderklok, a Philadelphia architect, was flying to Miami on Jan. 26, 2013 when an x-ray scanner picked up suspicious items at the Terminal B station supervised by Charles Kieser, Ms. Polanecsky reports. The items were a heart-monitoring watch and a packet of PowerBars. Vanderklok was asked if he had anything organic, and not realizing the PowerBars were considered as such, said no. Organic matter can resemble explosives. His bags were searched and 30 minutes later the items were deemed harmless. Vanderklock said if he had been told what “organic” meant the aggravation could have been avoided. Kieser became confrontational and Vanderklock asked to file a complaint. Kieser left and returned with Philadelphia Police officers. Vanderklock was taken to an airport holding cell then to the 18th District at 55th and Pine streets where he was placed in another cell. He didn’t learn the charges against him until his arraignment at 2 a.m. when he was told that he was being charged with “threatening the placement of a bomb” and making “terroristic threats”. His wife bailed him at at 4 a.m. on 10 percent of $40,000 bail. Needless to say, he missed his flight. Kieser testified under oath, at the April 8, 2013 trial that Vanderklok became agitated, waved his hands and said “I’ll bring a bomb through here any day I want and you’ll never find it,” reports Ms. Polanecsky . Unfortunately for Kieser, airport video showed Vanderklok smiling and no disturbance taking place. Further, Kieser, in his initial statement claimed Vanderklok said “Anybody could bring a bomb in here and nobody would know”, which unlike the former statement is a legal expression of opinion. Municipal Judge Felice Stack acquitted Vanderklok of all charges within minutes of Kieser’s testimony. For the record, Vanderklok denies making either statement. Vanderklok filed suit last week against the TSA, the Philadelphia Police Department and the Department of Homeland Security on the grounds that he was willfully deprived of his liberty because he wanted to file a complaint. Hope he hits them hard. The scary thing is that Kieser is still on the line overseeing screening, according to the story. If you want America to be America guys like this have to be held to account. If the Transportation Security Administration (TSA) could compete for an Emmy, it would definitely be a winner. Its “Security Theatre” has become a cutting-edge soap opera, replete with comedy, drama and ultimately, tragedy. And the latest episode is making the biggest headlines yet. The TSA has sliced and diced a prior position, and is now permitting passengers to carry knives onto planes. Yes. Knives. Those sharp, pointy things that can puncture a pilot’s jugular in a heartbeat, make flight attendants talk like Stephen Hawking, and create total pandemonium at 35,000 feet. If so many people’s lives, not to mention the entire economy, were not jeopardized by this warped decision, it would be funny. But this is definitely no joke. Even more comical is the TSA’s criteria for the knives. If the blade is no more than 2.36” long and a half-inch wide, it will fly the (un)friendly skies. The blade must also be one that folds away, which is, presumably, because the TSA thinks a 2.36” folded blade (which is locked when opened) can’t kill someone. More reassuring, the knife cannot have a molded handle, which should be a huge relief to everyone — except those who actually fly. Why the monumental shift in TSA policy? In addition to wanting to be more in-line with Europe (honest to God, that’s no joke), it says security lines are congested because TSA screeners are confiscating thousands of such knives, and these items don’t pose a 9/11-type threat anyway. Oh. So because druggies and shoplifters create logjams in our courts, we should just give in and make their actions legal? And how exactly will lines be shortened with TSA screeners now using tape measures to ensure that 2.37” knives don’t slip by? Although, truth be told, they could all just emulate the Philadelphia Airport, where everything seems to get through. The TSA is convinced that a 9/11 hijacking can never occur again because so much has changed: steel cockpit doors, a vigilant flying public, air marshals and better intelligence. And there you have it: TSA’s “risk-based” security plan. Which is really great, except the parts about the steel cockpit doors, a vigilant flying public, air marshals and better intelligence. 1. Yes, cockpit doors are strengthened, but since there aren’t self-contained bathrooms in the cockpit, pilots are absolutely vulnerable every time nature calls. 2. Is the TSA expecting passengers to work “fight-the-knife-freak” duty? And how many people are the TSA willing to sacrifice? It’s not just the doped up or drunk passenger who stabs the flight attendant because he hated the in-flight movie. It’s a handful of Mohammed Attas coordinating a vicious attack, each wielding several legal weapons. Sound familiar? It should, since box-cutters were legal on 9/11. Once the attack commences, then what? Maybe they gain entrance to the cockpit, and maybe not. But when you’re dealing with fanatics who can’t wait to meet Allah and all those supposed virgins, it’s going to be a bloodbath. And since sophisticated terrorists always utilize surprise, they will gain the upper hand immediately. And guess what? The economy would collapse anyway. 3. Air marshals? Sorry, they’ve been sequestrationed, and only fly on a small percentage of flights anyway. For the record, they vehemently oppose the TSA knife policy. Next. 4. Better intelligence. Really? Where? Like in New York in 2010, when the Muslim fundamentalist Times Square bomber was caught by Lady Luck? You may remember him. After fleeing Manhattan, he went to the airport, bought a one-way ticket to the Middle East — in cash —, boarded the plane, and almost almost took off. And best of all, he was on the No-Fly List! Or the 2009 Christmas Day underwear bomber who, only through sheer ineptness, didn’t bring down a jumbo jet over the U.S. He was also on our watch lists, and his own father repeatedly warned our intelligence communities of his son’s intentions, yet he too almost succeeded. Out of curiosity, does that “better intelligence” include the countless alphabet-soup agencies that still wage turf wars with each other and don’t share information? Just wondering. Of course, there is a much better solution. It’s called profiling, and it works really, really well. Just ask the Israelis, who know a thing or two about terrorists. (El Al has only been hijacked once). But out of deference to possible hurt feelings, we refuse. In fact, because of our affinity for political correctness, we do the opposite. The TSA actually announces who doesn’t have to take off their shoes (all children under 12), and who won’t be subject to pat-downs (children, the wheelchair-bound, and pretty much anyone who complains). Which is all well and good except that the Brotherhood of Mohammed Atta has no problem sacrificing their kids, so guess on whom they will hide their explosives? In 2007, the then-TSA chief lifted the ban on lighters and matches, admitting that policy was “security theatre.” Nothing has changed, as the TSA continues with policies that not only aren’t keeping the skies safe, but actually make them more dangerous. Unfortunately, Security Theatre has become an all-too-true reality show, playing out every day at thousands of airports. And it’s only a matter of time before it crashes and burns. Jagged Edge, Blade Runner, Con Air, Fight Club, Skyfall, Airport ’13, and, in honor of when TSA officials fly, Snakes On A Plane. Where can a guy defrocked as a priest from the Catholic Church get a job if the defrocking stems from allegations that he abused an 11-year-old girl? Why as a supervisor with the TSA at Philadelphia International Airport of course. TSA officials say it’s OK because the man in question, Thomas Harkins, deals, mostly, with luggage rather than people. Question of the day: If the Village People was still around would they write a song about the TSA? Hat tip I Hate The Media. Webb, 31, pleaded guilty Jan. 10, to stealing $40,000 from a passengers suitcase at New York’s John F. Kennedy International Airport. The pair were eight-year veterans of the TSA force at JFK. The theft of $40,000 is considered grand larceny in New York. The maximum sentence range for the crime is four years to 25 years. Way to send a message New York. And do you really think that was their only theft? It’s time to abolish the TSA and let airlines be responsible for their own security. The airlines have an even stronger incentive than the government to keep their planes from being hijacked and their passengers killed, but unlike government-paid people they also have a strong incentive for their passengers to be treated with respect and dignity. What the government should do are things like making sure people don’t overstay their visas. The Transportation Security Administration, the 21st century’s answer to F Troop, may get even more efficient, responsive and diligent about ignoring concerns about matters of security and complaints from travelers. A vote to unionize the 40,000 person workforce is scheduled for March 9. If the to vote to unionize is yes, as expected, expect dramatic changes. It will be like Gilligan being able to file a grievance if the Skipper should smack him with his hat. PHL Can Tell TSA To Go To . . .
Philadelphia International Airport was among the airports receiving Congressman John Mica’s letter letting them know they can divorce the Transportation Security Administration, at least with regard to passenger screenings, if they should find that the TSA’s new “hands-on” approach is a bit counter-productive to security. The letter notes that the Aviation and Transportation Security Act of 2001 that created the TSA allowed airports to revert to private contractors for screenings after two years. Mica ( R-FL7) was one of the authors of the bill. contract entered into with the Under Secretary. A staffer for Mica said the letter went out to the 100 busiest airports in the nation. PHL is the 11th busiest in the world. Orlando International Airport has announced that it will consider the change. We await word on what plans PHL may have. For some strange reason the George Soros-affiliated site MediaMatters.org is opposing the privatization. Author Bill LawrencePosted on November 18, 2010 July 11, 2017 Categories TSA1 Comment on PHL Can Tell TSA To Go To . 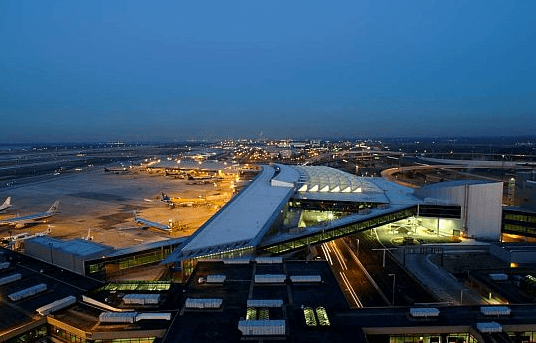 . .
F-Troop — I mean the Transportation Security Administration — sprang into action, Monday, after a passenger was flagged for having suspicious objects in his carry-on at Newark Liberty International Airport a.k.a Fort Courage. Agents quickly apprehended a person, unfortunately the person was not the person flagged. Parts of TerminalA were closed for over an hour as agents looked for the passenger. After the search, a heavy TSA agent was seen smacking a skinny TSA agent with his hat and heard shouting “Gilligan”. Daniel Rubin in the Feb. 8 edition of the Philadelphia Inquirer exposed another egregious example of a prominent federal agency’s absence of common decency and sense. This involved a businesswoman who wound up facing felony charges after a dispute stemming from her objections as to how screeners for the Transportation Security Administration (TSA) handled her underwear during a private baggage screening at Philadelphia International Airport. She was acquitted of all charges. Last month, Rubin wrote about how a TSA screener brought a 22-year-old female college student to tears after he had joked he had found a container of white powder in her luggage. And this is on top of incidents such as the one where Newark Airport was thrown into massive turmoil after a TSA guard left his post allowing a student to sneak into a passengers’ only area to give his girlfriend a goodbye smooch or the one where a noted war correspondent was handcuffed by TSA officers after he refused to divulge his income. The TSA is the federalization of baggage screeners that occurred after 9/11. It was not wanted by the Bush Administration nor recommended by security experts but was insisted upon by leading Democrats solely, some thought, to increase the federal workforce which is one of that party’s important constituencies. Bush had to concede to the demand or the Democrats who controlled the Senate at the time would not have allowed other more critical security measures to be addressed. It is time to return responsibility for baggage screening back to the airlines who want neither their planes to be blown up nor customers abused. Authorities have tracked down the villain who snuck beneath a security rope to give his girlfriend a goodbye smooch at the Newark Airport, Sunday, creating a massive panic. The vile perpetrator is Haisong Jiang, a 28-year-old Rutgers bio-medical research grad student from Jiangxi, China who is living in Piscataway, N. J. No expense was spared in the investigation. Jiang was working out at the gym when detectives arrived so he turned himself in. The horrific act occurred when the love of his life, Qianqun, who had been visiting him for Christmas break, was returning to her job in Los Angeles as a statistician. A Transportation Security Administration guard left his post to take a cell phone call giving the criminal Jiang an opportunity to transgress the law with his lover. The TSA has issued a series of statements to comfort the public, making it unnecessary for Homeland Security Secretary Janet Napolitano to have to again proclaim that the system worked. Jiang is being charged with defiant trespass. Jiang’s roommate Hui gave what perhaps may be a reason for the crime. “We know that he’s very excited to have a real woman,” Hui said. He said Qiangun is expected to stand by her man. While the brave men and women of the TSA won this round in their battle with terrorism, many fear that if Jiang had carried a Koran and yelled Allahu Akbar he would have gotten away scot-free. Michael Yon, probably the respected, most accurate war correspondent on the planet, was handcuffed at the Seattle airport for refusing to tell some border cops how much money he made.